﻿ The Ultimate Creative Visualization Technique - in 5 Steps! Learn How To Visualize in 16 Minutes ! will allow you to experience all of the benefits of visualization: like reaching goals & dreams quicker, feeling more confident & creative, and seemingly "attracting" opportunities, people & ideas into your life. Most people struggle to visualize - so don't get results. But when you follow my 5 Step System, which I lay out in the Free 16 min Training Video (below), you'll experience vivid & powerful visualizations every time... and quickly see "real world" results. In fact, I've helped over 50,000 people just like you learn how to visualize and get real results ... even if they've always struggled in the past! This video and article covers the basics. If you enjoy this page and want to speed ahead with your results, plus join a like-minded community of ambitious visualizers, all seeking to create their ideal dream lives... (and get guaranteed "real world' (initial) results within 48 hours) ... then you may benefit from enrolling in my Advanced 90 Minute Visualization Training Course. Up to you. Either way, happy visualizing! I hope you enjoyed my video. Below is a written step-by-step guide for a basic creative visualization technique - I know lots of us prefer to read by learning. I don't really elaborate too much in places - this is to help you understand the basic structure of a successful visualization. You can read a much more detailed explanation of this process with The Beginner's Guide to Creative Visualization, or (naturally) my Advanced Visualization Training , which is described in epic detail (90 mins). First, here's my Creative Visualization Technique"Cheat Sheet". This will help you make every visualization session more vivid, powerful, emotive... and fun! 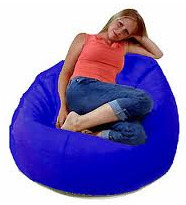 1) Get comfy... The comfier the better... But sit up unless you wanna fall asleep. 4) Relax each part of your body in turn. Head, shoulders, knees & toes (etc). Take your time to relax. 5) Start Visualizing! Play a mental movie of you living your dream, acting ideally. Daydream! Imagine! 6) Add as much detail as you can muster. Sounds, smells, tastes, people, self-talk, images... Make it REAL! 7) Add emotions. Aim to feel as good as if you were experiencing it for real. Feel like your dream has come true. 8) Focus on acting ideally. It doesn't matter if you're not perfect yet. Enjoy watching yourself succeed. 9) Edit & Perfect Keep adjusting the daydream until it's perfect for you. It's your vision - choose anything! 10) REPEAT! Each night for 10-30 minutes. In the morning too for bonus points. Results come quick! This creative visualization technique is simple... but very powerful. And remember: there's even more detail in the article The Beginner's Guide to Creative Visualization... and you can experience real world results in 48 hours, guaranteed when you enrol in my Advanced Visualization Training Course. So go check those out too for top marks. 2) GET INTO ALPHA! Put headphones on, and press play on The Creative Visualization MP3. Shut your eyes… and prepare to relax! NOTE: You get a free sample of this MP3 when you subscribe. 3) BREATHE SLOW! Start to slow down your breathing by taking several slow, conscious breaths. Pay attention as you breathe all the way in - and blow the air all the way out. Breathe through your belly, so you can see your stomach moving up and down. Do this for a minute or two to properly slow down & chill out. 4) RELAX THE BODY! 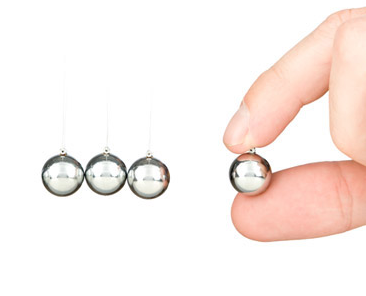 Next, consciously pay attention to various parts of your body, and "let go" of the tension in each a little. So, for example, when focussing on your head, consciously relax your jaw a bit. Then relax your forehead. Loosen the muscles around your mouth. Let your cheekbones drop. Allow your eyes to relax. It sounds a bit hippy, but it's true. You'll feel awesome. 5) START THE VISUALIZATION! To Visualize, all you have to do is start running a "mental movie" of you achieving your goals, using your imagination. See the movie "through your own eyes" as much as you can. Make it real. 6) ADD DETAIL! It's important to make these pictures as detailed and vivid as possible. ... and things like what you're wearing, how you're standing, how you speak… etc etc. Add these details bit by bit. There's no need to stress. Just ask yourself questions like "what sort of sounds would I hear?" and "who's with me?". Over time, your daydream will become vivid... and even take on a life of its own. 7) GENERATE EMOTIONS! All you do is imagine how you would feel if you were already acting like this in "real life". What would it feel like? What emotions would you experience? 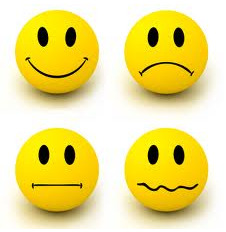 Make sure you generate strong, positive emotions. It should feel amazing. The secret of this Creative Visualization Technique is that you must experience the same emotions as if you had already achieved your goals for real! Have fun with it and let your imagination run wild. And enjoy it - this is fundamentally daydreaming about your dream life... If it's not fun, you maybe need some new goals. "It doesn't matter how you acted yesterday. You do not need to try to have faith you will act in the ideal way tomorrow. Your nervous system will take care of that in time - if you continue to practice. See yourself acting, feeling, being as you want to be… Just say to yourself, "I am going to imagine myself acting this way now - for 20 minutes today". 9) PERFECT THE MOVIE! As you continue to practice this Creative Visualization Technique, gently "massage" the mental movie until it runs perfectly - with you as the "leading star". Within a few days you should be able to run the "perfect movie". 10) REPEAT! REPEAT! REPEAT! … After practicing this for a while (typically several days to a couple of weeks) you will start to feel differently. You'll feel more confident - and you'll begin to act in a manner consistent with your Visualization... without even trying! BUT YOU MUST KEEP PRACTICING THIS CREATIVE VISUALIZATION TECHNIQUE ! PS - Be sure to read my review of The Creative Visualization MP3. It really will make your life easier - by quieting your brain, making your mental movies more vivid, and making the emotions you experience stronger. It's perfect for Visualization! Read my review now. If you've tried Visualization before and found it hard, don't worry. 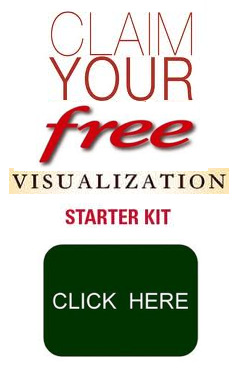 I've created a Free Visualization Starter Kit to make everything real easy for you. It includes a TWO free "brainwave entrainment" MP3s which put your brain in a slower, more receptive state... Perfect for visualization. Plus, you'll get an eBook full of tips and common mistakes. I'm going to sell this for $47, but.. for now, at least... it's 100% free. Claim Your Free Creative Visualization Starter Kit Now & Start Visualizing Tonight! I hope you enjoyed learning this Creative Visualization Technique... Good luck!